There are probably still people paying the $100 – $150/week that nannies got well into the 1980’s, but the whole “what to pay a nanny” show was different then. Those “nannies” were primarily 18-year-old “starter nannies” flown in from the Midwest to live with the family for a year, or undocumented aliens afraid to ask for more. But now we’ve all heard and read the awful stories about neglect and abuse — both by caregivers and by employers! — and the nanny industry has grown with each tragedy. 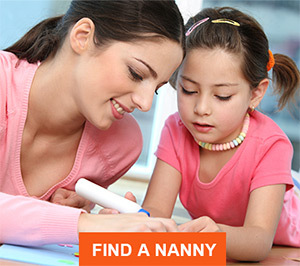 There are now lots (not just a handful) of seasoned professional nannies out there, and a very high proportion of first-time nannies are college students too well-prepared and too savvy to work for a pittance. Correspondingly, their employers are savvier and better paid and they are sharing some of the perks that they themselves have come to expect. They know what to pay a nanny. What, then, is reasonable nanny pay? 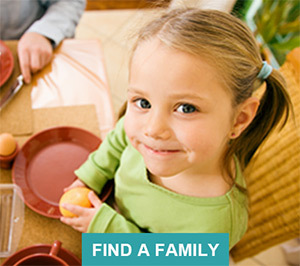 The International Nanny Association has completed its 2003-2004 Nanny Salary and Benefits Survey. 73% had worked with a single family for three or more years. So these may or may not be typical nannies, but they are experienced. That is, what experienced nannies make is what we now know. The INA survey respondents were from 31 big cities across the US, from Atlanta to Washington, DC, from Palm Beach to Portland to Pittsburgh. This broad sample is especially helpful, as each part of the country has historically set its own pay levels for nannies. On the other hand, the number of respondents from each city is drastically limited (sometimes only one to a city), so the numbers for a given area only hint at norms. And it turns out that the geographical differences in pay are no longer that great. Across the U.S., the average weekly pay for live-in nannies, according to INA, is $532. This is up $200+ from pay in 1998, when Nanny News conducted a similar survey, and up $300+/week from Nanny News’s 1995 survey. (Respondents to the earlier surveys were also a tip-of-the-iceberg sample.) The current average reported for live-out is $590/week, also way up. New York City ranged from $250 – $1000 live-in and $500 – 1600 live-out. The only Washington, DC, live-in respondent reported $740/week, while live-outs ranged from $425 – $1200. A Los Angeles live-in reported $721/week, with live-out reporting $450 – $1100. The one Seattle live-in respondent received $624, while live-outs varied from $275 – $1100. These cities are the oldest and/or most glamorous markets (including Seattle’s Internet fortunes). Phoenix reports $300-850 live-in, $550-$1000 live-out. Dallas was $500 – $600 live-in, $600 – $775 live-out. Lowest amounts reported were Atlanta ($300-$500 live-in, $325 – $750 live-out) and Pittsburgh (live-out $410 – $550). Given the small samples, these numbers don’t suggest much more than a floor and a ceiling. What is sure is that all across the country both are noticeably higher now than a decade ago. But money is not altogether what it’s about. Benefits and personal chemistry still play a large part in a nanny’s choice of jobs. Check out our article on Benefits to understand these factors before you try to mortgage the house to pay for your new nanny!